Roofing repair is essential especially if your roof is in poor condition. Roofing repair is the only solution left if you want to improve the overall look of the house. Besides improving the overall appearance of the home, you can also increase the property value. It is unlikely that you love living in a house with deteriorating roofing. Besides, living under such a roof is certainly risky. It affects, not only the look of your property but also brings down the property value. Roofing repair is the only solution to fix this problem. You can, in fact, enhance the overall exterior of the home by replacing the roofing. Factors such as leakages or cracks affect the insulation of the home. Your roofing thus cannot provide optimum protection against the cold and heat. The eventual result is an increase in the electricity expenditure. Repairing the roof is the perfect answer for your insulation problems. You can, in fact, choose a roofing type that is known for its insulation benefits. It will not only enhance the insulation but will also bring down the electricity expenditure considerably. This is certainly an advantage for the middle-income consumer groups. Roof leakages allow the entry of insects and other particles such as mold. This changes the quality of the indoor air. It will eventually result in several respiratory disorders. It is advised that you replace the roofs as soon as possible. Also, the problems related to the leaky or damaged roof shouldn’t be overlooked; if left can cause hazardous results. As you notice first signs of an impaired roof, call beneficial roofing in Memphis, TN to get the problem fixed as soon as possible. However, to identify that the hint is the sign of a leaky top, you need to be familiar with the main six signs. A top full of moisture can reduce the strength of the uppermost layer of your home. Moreover, it provides the best breeding ground for mold and mildew which although doesn’t cause immediate harms to you but as it multiplies quickly, shouldn’t be left unfixed. Leaving the problem unsolved cause serious problems. To avoid such situations, call Beneficial Roofing in Memphis, TN to get help. Curled shingles cannot prevent a home from harsh weather conditions, especially strong wind strokes. Besides, it doesn’t offer proper ventilation to the home causing the roof to wear out prematurely, high electricity bills, and moisture top. Hot air from the Garret is one of the main reasons for curled shingles. Thus the problem with the attic should be fixed soon. This is the true indication that now you need to call the roofing experts. The rotted roof is simply good for nothing to your home, which can be easily identified by the company. The brownish red look of the top depicts, the roof has been degraded and needs help. 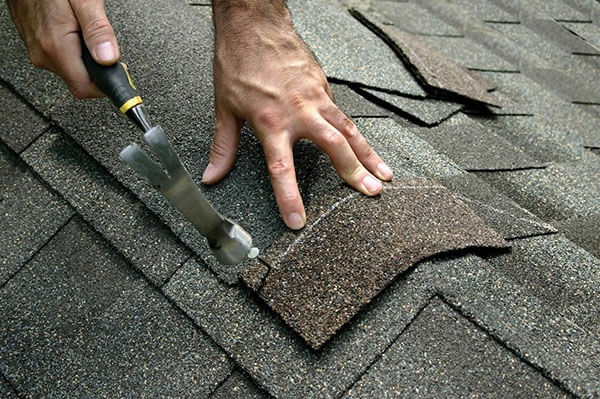 As a result of severe climatic conditions, granules of the shingles become loose, and when a shingle start losing it granules, it becomes more vulnerable causing leaks and seepage in the roof. To get such situation fixed, services for Beneficial Roofing in Memphis, TN should be called. Such flashing can be a noteworthy problem with the top most of your home. Dented or improperly mounted flashing against roof allows water to seep into the home causing problems. However, this problem can be solved just by replacing the flashing, hence doesn’t require complete re-roofing. Skylights, if broken or not properly installed can be the easy and simple reason of leaky roof. Ask the company to inspect the skylights effectively and if found problem with, get it fixed. call us today to get a free inspection and we guarantee to give you the best services available today.